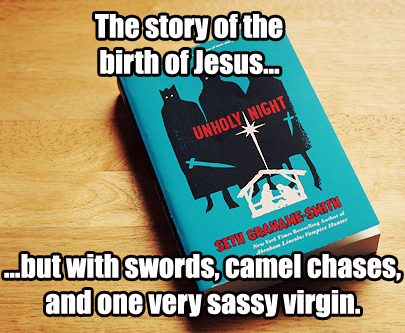 This entry was posted in Christianity, Humor, John, Luke, New Testament, Religion, The Bible and tagged Everyone Poops, God Pooped, Greek Mythology and Religion, Jesus, New Testament, One Crazy Bible, Son of God, Taco Bell is a Food Group, The Birth of Jesus, The Life of Jesus, We Need More Snuggies by Mac. Bookmark the permalink. 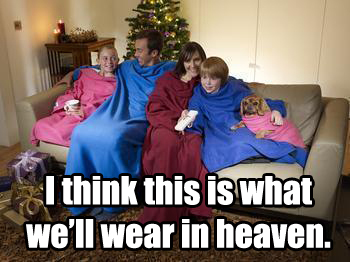 So, now I’m really glad I got 3 snuggies for Christmas last year. I think that makes me MORE ready for heaven! Also, I’m learning that you are a lot like James and I hope he reads this! And 3, everyone poops! Have a great day! Mac, Laura is on to something here…James loves fire too. I mean he and his brother can captivate an audience for hours with their “adventures”. And Collin gave me a pink snuggie for Christmas. Are you related to us somehow? 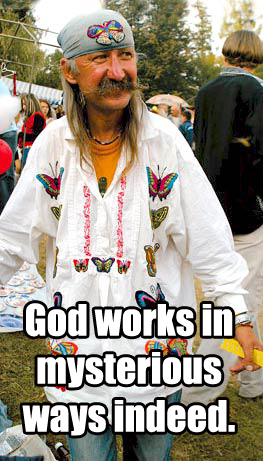 Or is it that great lovers of Jesus think alike? One of the greatest things about being an aunt is watching my niece and nephews grow and change and learn new things. And teaching them slightly inappropriate things. 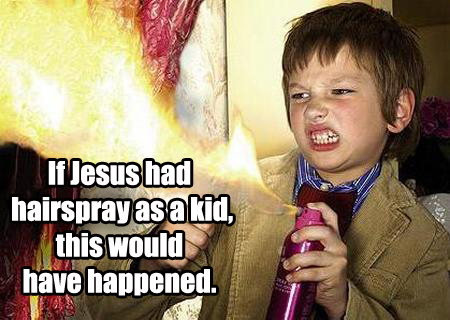 It is the craziest thing to look at them and think “Jesus was once this small. My God once learned how to feed himself and how not to poop his pants.” He was probably dropped a couple times as a baby. Craziness!